To view a video description of the CREST-2 study by Donald Heck, MD click the play arrow on the image above. Who May Participate in CREST-2? Lack serious other medical complications. ​How Do You Know if Your Arteries are Blocked? 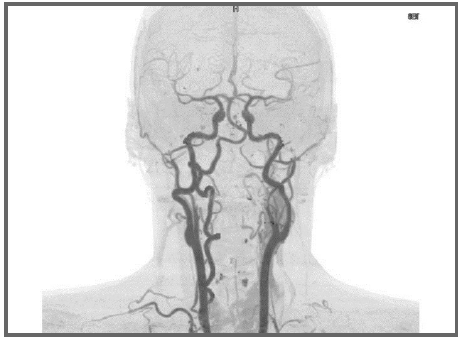 Cerebral angiography uses contrast material injected into an artery (usually in the groin) to make the vessels in the head and neck visible in x-rays. (Scroll over Figure 1 below.) Pictures are then taken and the amount of narrowing is measured. 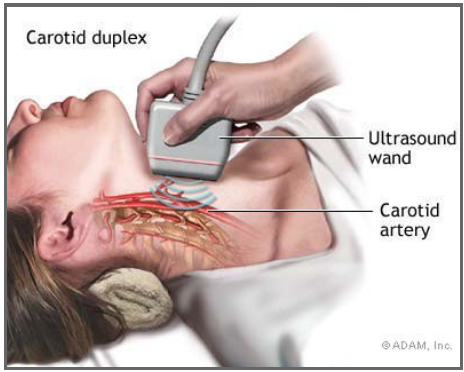 Ultrasound, or carotid Doppler, uses sound waves to measure the rate of blood flow through the artery. (Scroll over Figure 2 below.) If you have not had an ultrasound within the last 30 days and you decide to participate, you will have this test. FIG. 1. Cerebral Angiography creates an x-ray image of blood vessels in the head and neck. FIG. 2. Ultrasound, or carotid Doppler, uses sound waves to measure the rate of flow through your carotid arteries.